Volkswagen AG's two joint ventures in China plan to start making electric cars in 2014 and to ramp up to mass production by 2018, its China chief said on Tuesday. Initial EV output at Shanghai Volkswagen and FAW Volkswagen was estimated at a few thousand vehicles, rising to 100,000 by 2018, the president and chief executive of Volkswagen's China operations, Karl-Thomas Neumann, told an EU-China business convention in Beijing. E-vehicles have so far been limited by cost batteries, and a lack of economies of scale and models considered appealing to car buyers, but Neumann said they were needed to reduce China's pollution and reliance on oil. "I am convinced e-vehicles will be a success in China because I think it is desperately needed," he told the convention. He added that Volkswagen, which has partnerships with SAIC Motor Corp and FAW Group in China, would launch its first plug-in hybrid here in 2015. 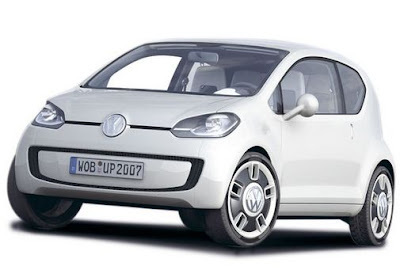 Each of Volkswagen's joint ventures would develop its own e-vehicle, Neumann said. He did not specify whether the 100,000 EV output planned for 2018 was for each JV or a combined target. The central government has declared the electric vehicle industry a top priority, earmarking $1.5 billion per year for the next 10 years to become one of the leading producers of clean vehicles. It has named 25 cities including Beijing, Hangzhou, Shanghai and Shenzhen to lead the migration to green vehicles. However, demand for EVs has been held back by a lack of models, limited charging facilities, high sticker prices and safety concerns.